EE brings you a slice of paradise on earth. Travel to distant shores as we spotlight the Seychelles Islands. Seychelles offers superb sailing, diving and snorkelling, excellent fishing and wonderful opportunities to discover the islands’ unique ecosystems on mountain hikes and nature trails, all enjoyable in a climate which is almost perfect throughout the year. Island hopping by plane, boat or helicopter will allow you to discover each island’s individual character, as well as explore a cuisine sure to seduce the most demanding palate. What crowns the endearing experience is the genuine, heart-warming welcome by the people of Seychelles. Seychelles brings to the mind’s eye a picture post card version of Finding Nemo. Since the time when Seychelles’ 115 islands and coral islands scattered over a secluded corner of the Indian Ocean, they have remained sanctuaries for some of the rarest species of flora and fauna on earth. 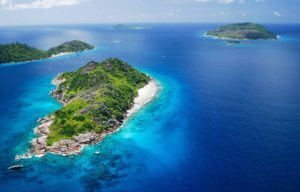 As the highest peaks of the submerged remnants of the super-continent Gondwanaland, Seychelles represents the most ancient mid-ocean islands in the world. A true lasting legacy to the earth’s very beginnings. The sparkling islands have safely cocooned not only their unique life forms, but a sense of belonging to a bygone age. One where tranquility and simplicity can still be found and innocence rediscovered.A paradise where a diverse people share the warmth that only its young and tiny islands communities can know. Traditionally associated with the most beautiful beaches on the planet framed by timeless granite boulders, it’s no wonder that the Seychelles islands are at the top of the world’s list of romantic destinations., While Seychelles is a dream destination for that lazy tropical retreat for two, the archipelago has even more to offer in addition to the ultimate sun, sand and sea holiday. 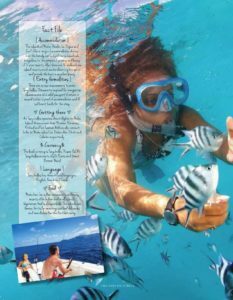 For those wishing to do and see it all, Seychelles offers superb sailing, diving and snorkelling, excellent fishing and wonderful opportunities to discover the islands’ unique ecosystems on mountain hikes and nature trails, all enjoyable in a climate which is almost perfect throughout the year. Island hopping by plane, boat or helicopter will allow you to discover each island’s individual character, as well as explore a cuisine sure to seduce the most demanding palate. What crowns the endearing experience is the genuine, heart-warming welcome of the Seychellois people. Settled in since some 250 years, the natural beauty of Seychelles is legendary and protected by conservation laws which have set aside half of its limited landmass as marine parks and natural reserves. 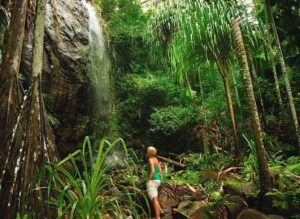 You can discover these eco-treasures of Seychelles on mountain hikes and forest trails. Seychelles is home to the rare Seychelles Black Parrot, flitting among the palms of Vallee de Mai on Praslin Island. Vallee de Mai, one of the two UNESCO World Heritage sites of Seychelles, a primeval forest which is one of the only two places on the planet where the legendary Coco-de-mer grows on ancient palms. Besides the botanical wonder the carnivorous Pitcher Plant high in the hills of Mahe Island; Seychelles is also home to the Jellyfish Tree, the Seychelles Paradise Flycatcher (found only on La Digue Island), the world’s smallest frog, heaviest land tortoise (Bird Island) and Indian Ocean’s only flightless bird. Other gems of nature conservation are Curieuse, Aride, Cousin and Bird islands. 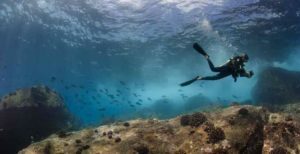 Only in Seychelles will you discover exciting contrasts between the granite and coral reefs with their dizzying displays of reef fish, turtles, ray, shark, dolphins and whale shark which beckon to novice and experienced divers alike in places where as many as 800 different species have been spotted on a single dive. Mahe is the largest and the most important island being home to the Capital, Victoria. It houses the majority of the population, the international airport and is the gateway to other islands. Mahe’s virgin forests cascade down to the lush mountainsides to more than 65 gorgeous virgin beaches. Victoria is full of history, Creole character and delightful nooks and crannies like the busy Sir Selwyn Selwyn Clarke market, two cathedrals, a Hindu temple, Botanical Gardens and Esplanade where you are sure to find the local souvenir. Other exciting excursions include the Takamaka Bay Rum Distillery, Jardin du Roi Spice Gardens, Botanical Gardens and Eden Island with its elegant marina and mall, casino, bars and choice of restaurants and vibrant nightlife. Beau Vallon beach, the most popular beach of the island, is where you can enjoy water activities, explore weekly night bazaars and visit restaurants offering varied cuisines and local bars and pubs. 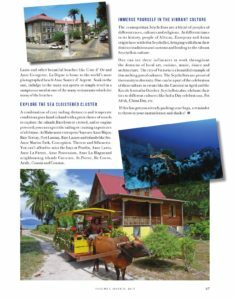 La Digue island, an almost-car free island, with its leafy, meandering avenues and sleepy, island ways, is typical of Seychelles’ special brand of tranquility, harmony and raw, natural beauty. The best way to explore the island is like the locals do – on the ox-carts, taxi service or bicycles. The island is also famous for its many examples of fine, French-style, colonial architecture and pristine beaches. Seychelles is famed for itstalcum-powder beaches lapped by topaz waters and backed by lush hills and big glacis boulders. But the unique feature of these beaches is that they are unbelievably secluded. You needn’t go very far to find your piece of heaven on earth and enjoy the company of your loved one. Mahe alone has more than 65 beaches including Beau Vallon, Anse Major, Anse Royale, Petite Anse, Anse Takamaka and Anse Intendance. Praslin is home to what is considered the world’s most beautiful beach, Anse Lazio and other beautiful beaches like Cote d’ Or and Anse Georgette. La Digue is home to the world’s most photographed beach Anse Source d’ Argent. Soak in the sun, indulge in the many sea sports or simply revel in a sumptuous meal at one of the many restaurants which dot many of the beaches. A combination of easy sailing distances and temperate conditions goes hand in hand with a great choice of vessels to explore the islands.Bareboat or crewed, sail or engine powered; you can expect the sailing or cruising experience of a lifetime. At Mahe must visit spots/bays are Anse Major, Baie Ternay, Port Launay, Baie Lazare and islands like Ste. Anne Marine Park, Conception. Therese and Silhouette. You can’t afford to miss the bays at Praslin, Anse Lazio, Anse La Farine, Anse Possession, Anse La Blagueand neighbouring islands Curieuse, St.Pierre, Ile Cocos, Aride, Cousin and Cousine. The cosmopolitan Seychelles is are a blend of peoples of different races, cultures and religions. At different times in its history, people of African, European and Asian origin have settled in Seychelles, bringing with them their distinct traditions and customs and lending to the vibrant Seychellois culture. One can see these influences at work throughout the domains of local art, cuisine, music, dance and architecture. The city of Victoria is a beautiful example of this melting pot of cultures. The Seychellois are proud of their unity in diversity. One can be a part of the celebration of their culture in events like the Carnival in April and the Kreole festival in October. Seychellois also celebrate their ties to different cultures like India Day celebrations, Fet Afrik, China Day, etc. Accommodation – The islands of Mahe, Praslin, La Digue and Cerf offer a range of accommodation choices from the homely comforts of rustic beachside bungalows to the pampered privacy and luxury of 5-star resorts. Also there are 12 exclusive one island resorts which are bio-diversity hot spots and provide the best in barefoot luxury. Entry formalities – There are no visa requirements to enter Seychelles. Documents required for immigration clearance are: a) a valid passport b) return or onward ticket c) proof of accommodation and d) sufficient funds for the stay. Getting there – Air Seychelles operates direct flights to Mahe Island thrice a week from Mumbai. Emirates, Etihad and Sri Lankan Airlines also connect India to Mahe Island via Dubai, Abu Dhabi and Colombo respectively. Food – Mahe has few Indian restaurants and many resorts offer Indian food on all islands. Vegetarian food is also available. The islands are famous for its lip smacking sea food delicacies and rare dishes like the fruit bat curry. If this has got you already packing your bags, a reminder to throw in your suntan lotion and shades!